Everyone tells you that once you have a child, your life as you know it will totally change, and yes folks that goes for your photobooking as well! Obviously, Photo Book Baby has become the undisputed star of my photo books. I really hope my little guy grows to love photography as much as I do and I look forward to going on photo excursions with him when he's a little older. But one thing I am sure of now is how much he loves photo books. (Yea!) One of his favorite photo books was the one I made for him when he was about 8 months old. I created a "face book" (no, not anything to do with the social media phenomenon known as Facebook - but while we're on the subject, I'd love it if you liked my page!) 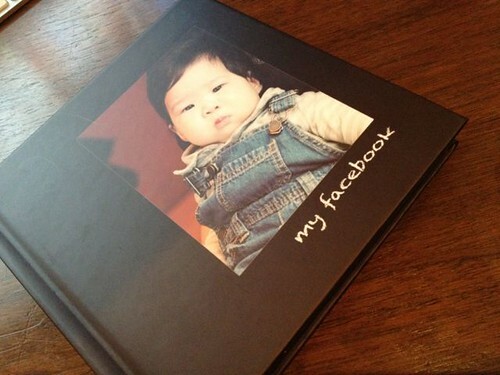 It was actually a simple photo book of faces and names featuring our extended family. It became an instant bedtime favorite and I can say with 100% certainty, that is why he knows his grandparents', aunts', uncles' and cousins' names. He initially learned to recognize and point to their photos when we asked, "where's uncle? where's auntie?" and then gradually learned to say their names over time. He's 19 months now and many in my family are shocked when he calls out to them by name, especially because he's only seen them a handful of times in person. Crazy right? If you're family is spread out (or even if it isn't) I highly recommend this type of book. It works! I also highly recommend photo books or brag books (small, portable albums to show off your little one) as gifts for parents, grandparents and doting aunts and uncles. I can't see anyone being disappointed in receiving a personalized book of photos, especially those featuring the gift recipient and your little one together and other cherished family photos. While share sites, emails, Facebook and Instagram are great, there's just something special about holding an actual book in your hands, probably even more so given the online nature of our everyday lives. It's like getting a letter from a friend in the mail - so rare nowadays! I've Never Made a Photo Book Before - Where Do I Start? 1) Budget Conscious? I very much recommend going with a company that's running a sale (or one that's giving away a free photo book) that way you can try a new company at relatively low risk. Also to keep costs down, you can opt for a softcover book rather than a hardcover one. I've made some really nice looking softcover books. The interior paper and print quality is often the same, it's just the binding and cover material that differs. A small 20-page softcover book can run from $3 to $12. A small 20-page hardcover book runs about $15 to $20, and that's before discounts. 30% to 70% discounts are not unheard of. You can check out the photo book deals here. 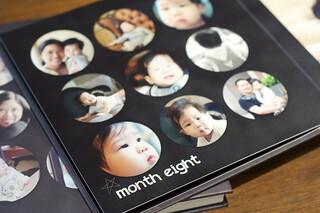 2) Want to Make an Easy Photo Book? Check out the company's auto-placement tool or book wizard. With one click it will place all your photos. You can reposition them, but if you like it as is, it's the quickest way to make a book. Another easy option is to choose a ready-made theme or template. There are some beautiful, designer-made layouts (and in fact complete book designs) out there for free. It's just an easy drag and drop. 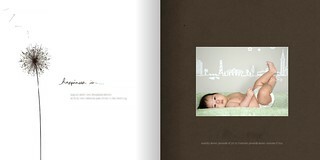 3) Looking for a High End Photo Book? If this is an heirloom book you want to pass down to future generations (perhaps for baby's baptism or first birthday) you may be willing to spend more. A lay flat, flush mount book is one of the higher end books offered by several companies. They are printed on real photo paper using a photographic process so you won't see the tiny dots that make up the image, making for smoother tones and clearer print quality. The images are typically mounted onto stiff, unbendable cardstock pages. Some companies function online (like Shutterfly and Mixbook), while others require you to download the software (like MyPublisher, Blurb). Either way, you'll have to upload your photos to the software so you can design the pages. What's nice about online software is once you upload your photos, you can access your book from anywhere you have an Internet connection. On the flip side what's nice about downloaded software is you can work on your book without going online as long as you have your computer with you. 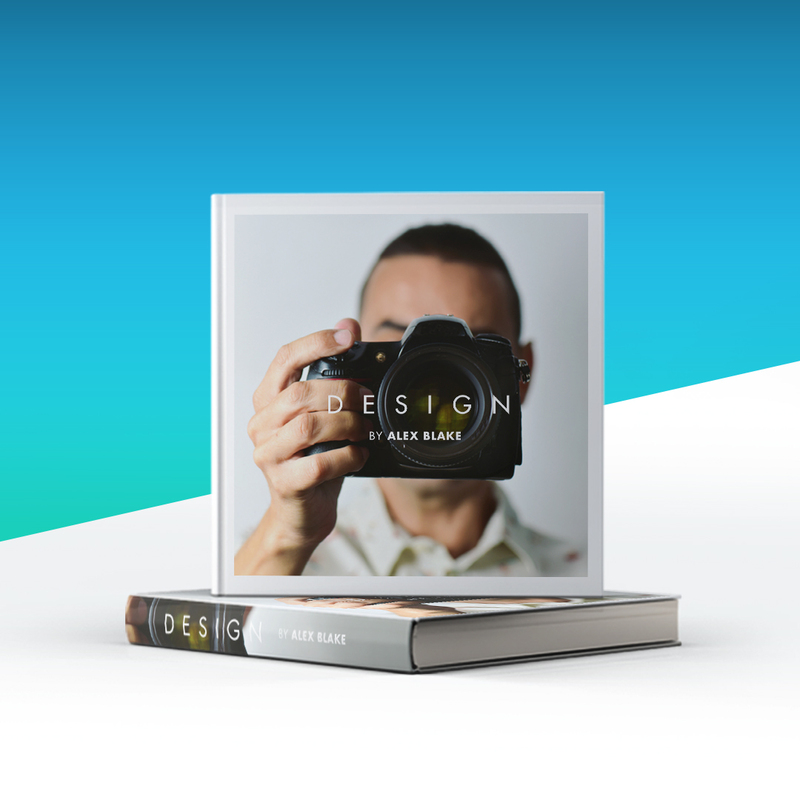 Pick a ready-made designer template or create your custom book from scratch. Styles can range from a modern photos-only type album or at the other end of the spectrum - a digital scrapbooking type photo book with lots of colorful backgrounds and clip art, for a fun, playful look. Creativity is limitless! 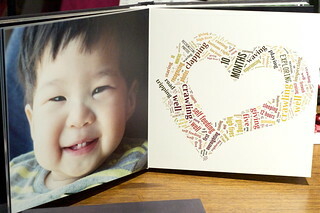 Here are featured links to some of my favorite baby photo books. Please note that while some of the promos you may see in the posts were current then but not now, there are plenty of new photo book promos and coupon codes that I track every day as well as daily photo book deals (like Groupon and Living Social) to help you find the best deal on a photo book. More of my baby and family related photo book posts are linked at the bottom of this page. If you'd like to get more in-depth about how to get started, check out my How To Make Your Own Photo Book series. 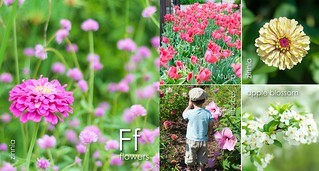 If you'd like to see layout ideas check out my photo book idea gallery. If you want to read about a specific company, go to my Photo Book Reviews page. If you want to hear about all the latest photo book deals, the best way to not miss out is to stay in touch! 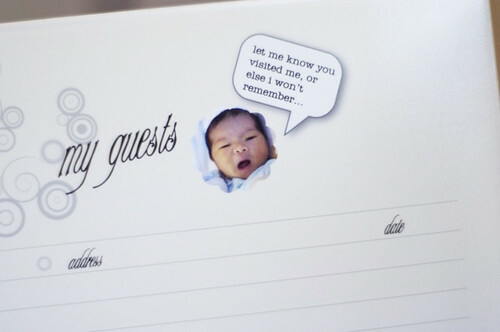 Do Second or Later Born Children Have Less Photos Than Firstborns? Can You Find Disney's Hidden Mickeys? Photos and Photo Books - Why Bother?